Based on author Neil George’s years of providing career advice to his peers, the comic book also draws on real-life events that transpired during his 20+ years tenure in marketing consumer goods across the world. Here is something new that's informative, fun and, frankly, not so heavy for all you budding entrepreneurs. If you are looking to be the next start-up pro in the scene, we suggest you give this comic book a read. Titled 'Building the Perfect Beast – What Really Happens in Brand Management', the plot centres around 10 typical protagonists from the world of brand marketing in a London-based headquarters of a global consumer goods firm. 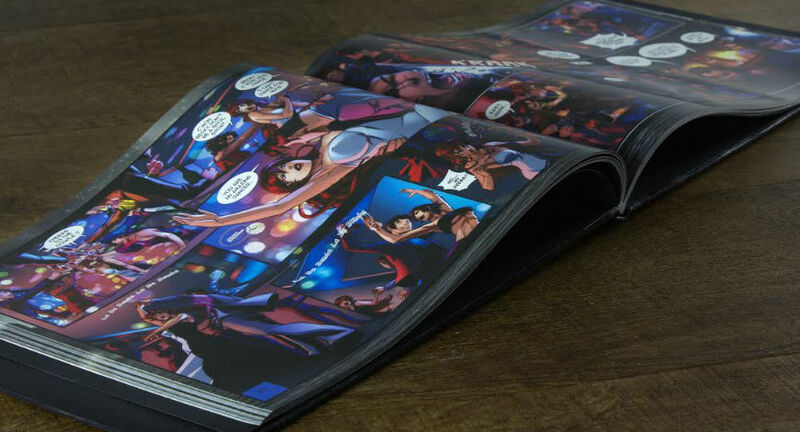 Published by Power Publishers and Omnikarma Productions, the 150+-page book with more than 400 anime-based illustrations captures the triumphs and the challenges of interns in the marketing and communications industry. Based on author Neil George’s years of providing career advice to his peers, the comic book also draws on real-life events that transpired during his 20+ years tenure in marketing consumer goods across the world. As such, it touches on the highs and lows of everyday life in such a career, including the death of a colleague. Before the start of each chapter, the author’s past and current colleagues share short but useful insights from their time in brand management, the book has already sent many hapless interns in the marketing and communications industry into a tizzy. Business World holds a quick discussion with the author Neil George about his experiences. The plot centers around 10 typical protagonists from the world of brand marketing in a London based headquarters of a global Consumer Goods’ firm. The eclectic mix consists of five new marketing interns, one tough boss, a superhero-like VP as well as background characters in the form of friends and colleagues. 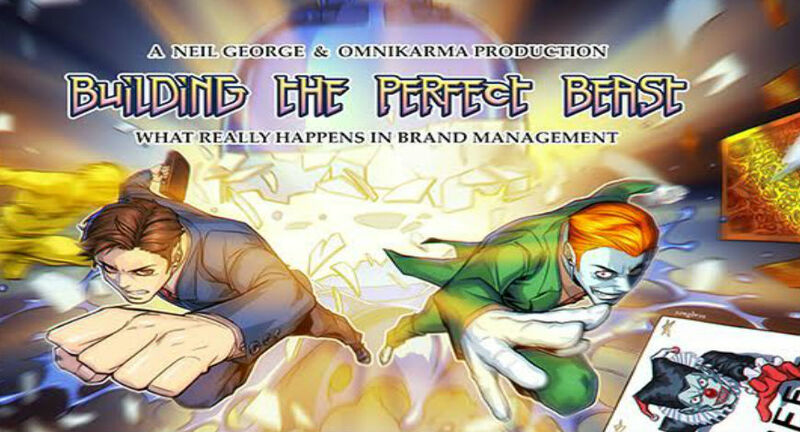 What made you write a Brand Management Comic? It started as an idea for a coffee table book to provide career guidance and advice to interns wanting to join the FMCG industry. About 45 minutes later I realized I couldn’t write for nuts. This idea then took on a new dimension and I decided to create a more visual product and eventually settled on making the World’s first brand management comic. How this book is relevant to your own experience in Marketing? A lot. ‘Building the Perfect Beast – What REALLY happens in brand management’ captures the life of 5 interns, their boss and colleagues in Year 1 of joining a big multinational consumer goods’ company. Each chapter covers topics like media, research, R&D, advertising development, HR, the dynamics of sales vs. marketing etc. Readers will be taken on a fantasy trip into the exciting world of consumer goods. Idea/Inspiration behind writing a comic, you could have chosen to write a fiction book as well. I was a huge fan of comics since I was about 5 years old. In the early days, I grew up on a diet of Phantom, Mandrake and Commando. Then there was a huge attraction for Superman, Archies and Mad Magazine (which by the way is one of the best comics you could ever read). In the teens, I switched to Tintin and Asterix. In fact, I used to love the fine detail in some of the Asterix comics and I have used some large visuals in my comic inspired by Asterix. After a lot of research, I realized that there was not a single management textbook that was less verbose and more visual – and hence the idea to create a brand management comic. How do you plan to market this book? The primary marketing tool is simply word of mouth, PR and digital channels. I have created a huge library of digital assets. first - the launch video. A group of teens from Amsterdam saw my book and were motivated to create a launch music video which has been playing on Youtube. There is an official website, FB, Twitter and Instagram pages. Within a short time I have more than 2500 followers on these various assets. Many friends have posted the story on LinkedIn and one particular post was viewed by more than 36,000 LinkedIn profiles. This week, we have seen a number of newspapers and publications (Indian and International) that have started interviewing me and that should help further. We have many exciting launch and signing events planned in the coming months and weeks including the Comic-Con. How is the book different from other similar comics in the world? As per my information, this is the worlds first full length anime comic that is set inside a corporation. so, I don't think there is anything similar. The anime art is spectacular and never before seen in the comic world. Publishing Industry often faces some challenges, did you face any? This is a fully self published comic and I have had to navigate the problem of managing everything myself. Distribution of the book in physical book stores has been a major challenge and I hope someone can help me here. There is certainly a number of sequels planned. a number of people have approached me to show interest for a mini TV series. I am also working with a leading Business School to create the World's first brand management course with my comic as the textbook. I am currently working with some international distributors to get this product distributed globally. This Holy Grail for all business aficionados as well as seasoned veterans comes in two editions: the Global Student Edition in paperback with 146 pages as well as hardbound Deluxe Platinum Limited Edition of 160 pages. You can pick it up from a leading bookstore near you or simply log on to Amazon or Flipkart to snag a copy at Rs 2,500.